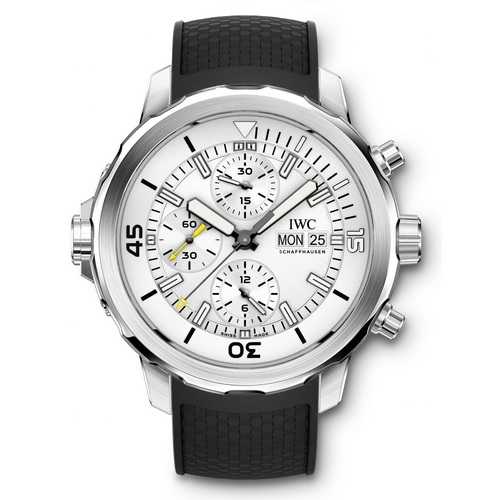 Ticking away inside the 44-millimetre stainless-steel case is the robust 79320-calibre chronograph movement with a 44-hour power reserve. It facilitates stop times and aggregate timing up to 12 hours and is a reliable companion even on unusually long dives. Thanks to the more discreet colours and shapes, the new Aquatimer Chronograph is as much at home on a dive as at a business meeting.